Home » Friday at FD Singapore! 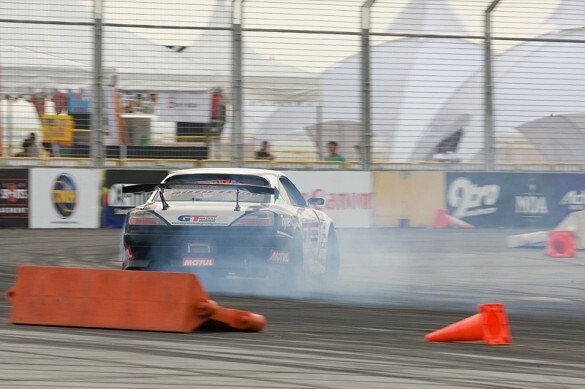 Friday’s at a Formula Drift Asia event are like the calm before the storm. 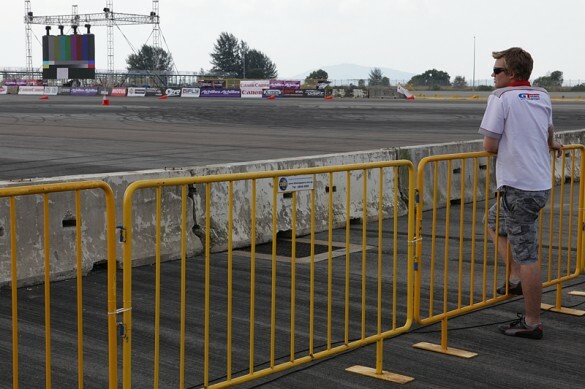 We finally get to check out the track we’ll be taking on over the next few days and spend most of the time making sure everything is in place for the event. We also get to check out the competitor’s cars, and one car you always seem drawn to is my now Motul team mate Daigo Saito’s Lexus IS250C. One task for today that Gavin and I had planned was a few test runs on the nearby blocked off roads to check and adjust the engine tuning for this track. We took the car for a few squirts up and down the road until we were happy with the feel. We then went back to the pits and got the usual items ready for the next day. 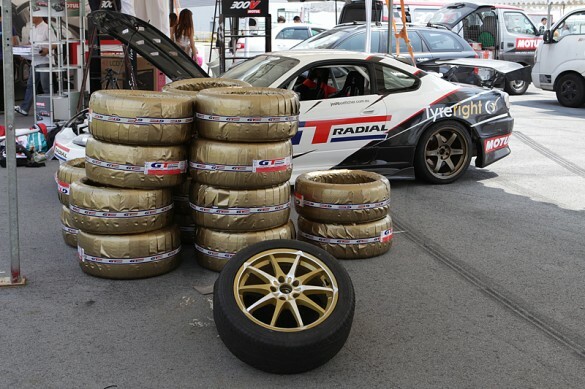 Once again we had a nice pile of GT Radial HPYs in our pit bay waiting for us to burn! Now due to the recent Malaysian round the tech inspection side of things was very quick! So next on the agenda was a practice session for the Nation’s Cup! This is a side event for the top 2 drivers in the series from each country where we have 5 minutes to impress the judges with whatever we want to do within the track area. They even ask for us to supply the music! But, with most drivers knowing that they only getting a few practice runs on Saturday and Sunday, everyone just ran the course to get their eye in with the plan to let loose tomorrow after the qualifying. 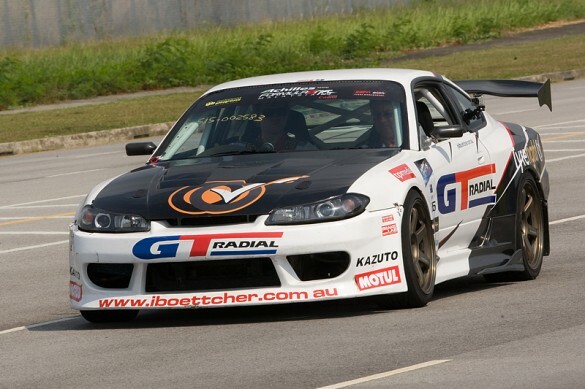 Now being the only Aussie, I have been teamed up with my ‘Oceania’ team mate Daynom Templeman in his 20B FD RX7. 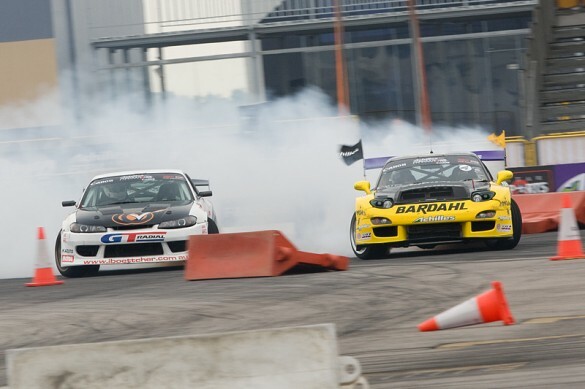 Daynom was a little late to the grid, so I lined up with team USA driver, Ken Gushi for a run on the layout before having 2 runs with Daynom. 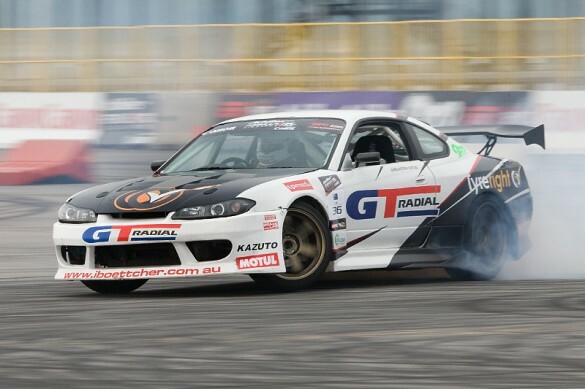 After only a few runs, the car is feeling good on the layout, so I’m looking forward to tomorrow! Straight after that we lined up to give the lucky media personnel an idea of what it’s like inside the car! We had a smaller area to work with here, but it’s always great fun to take such excited passengers for a wild ride! 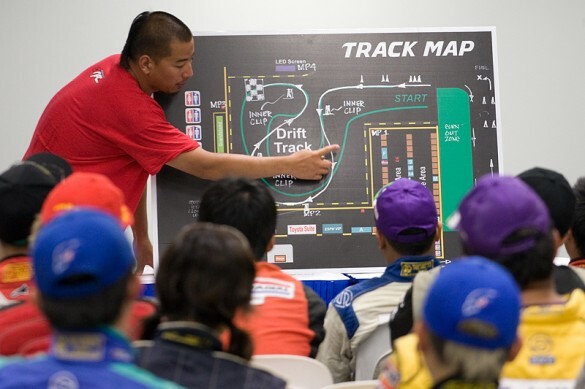 And the final task of the day was the first drivers briefing of the event. Once the usual housekeeping was sorted, the judges went through the track they had set out and exactly how they wanted to see us run it. The usual suspects had a few extra questions, but by the end of it we all knew exactly what we needed to do. 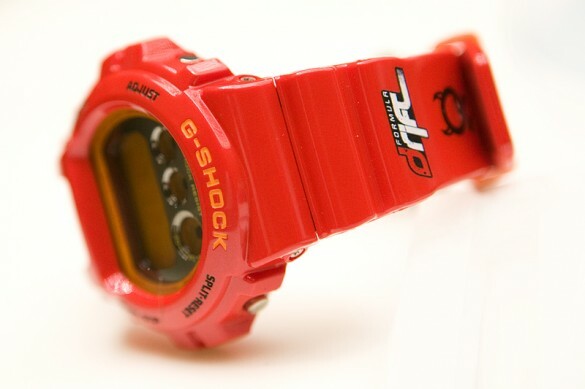 And a cool finish to the day was recieving my limited edition, 1 of only 300 G-Shock FD Asia watch! So tomorrow is very important. It’s qualifying day and I’ll be pushing as hard as I can to qualify as high as possible! P.S. Check out our latest invention: JB Cam!